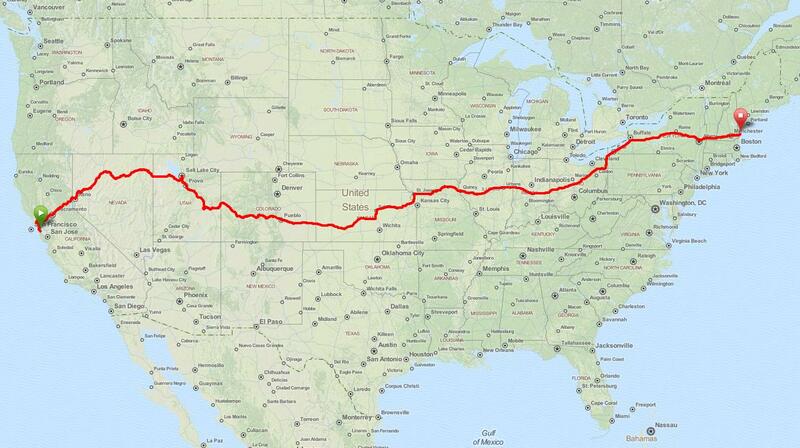 This summer, 2013, I will be riding my bike across the United States with America By Bicycle (ABB). The group will leave San Francisco, CA on June 2 and arrive in Portsmouth, Maine on July 23, pedaling about 3900 miles in 52 days. The ABB crew will handle the logistics, provide daily SAG support, and transport our luggage to each hotel. You can visit my journal page for a daily description of the ride and a few supporting pictures. Additional pictures will be available on the gallery page of my website. The Journal page will display the most recent post. If you click on its title, the post will open in a separate page and allow comments and navigation to previous posts. You can also select a particular date on the calendar to view its post, and there are statistic summaries and links to recent posts and related websites. Postscript: This adventure has been completed. 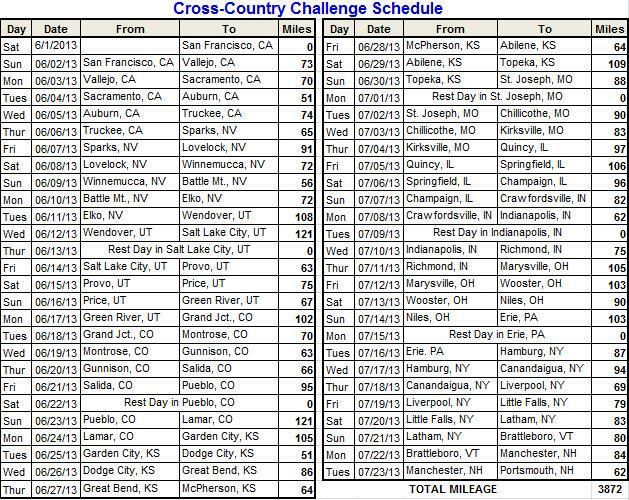 Go to the June 1st, 2013 journal entry to read from the beginning.